Wix.com is one of the largest website hosts in the industry as they have over 73 million users in over 180 different countries. They are probably the most recognizable website host due to the many advertisements that they run with their claim that they can help anyone, anywhere build a beautifully designed and professional looking website. As a cloud-based host, they certainly have a reputation as one of the most reliable that you will find. 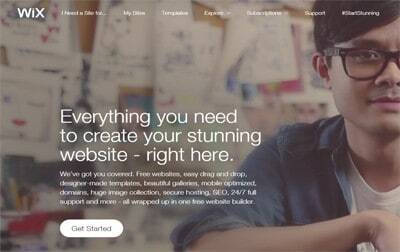 One of the best features of choosing Wix.com is that you can choose between over 500 different website templates. They advertise their web hosting services for businesses within just about every industry and their variety in templates allows you to customize your website to meet your unique needs. Not only are there a ton of options when it comes to the templates, but they are incredibly well-designed. They have pre-built layouts for most of them and also allow you to customize the layout to whatever best fits what you are looking to present to visitors. 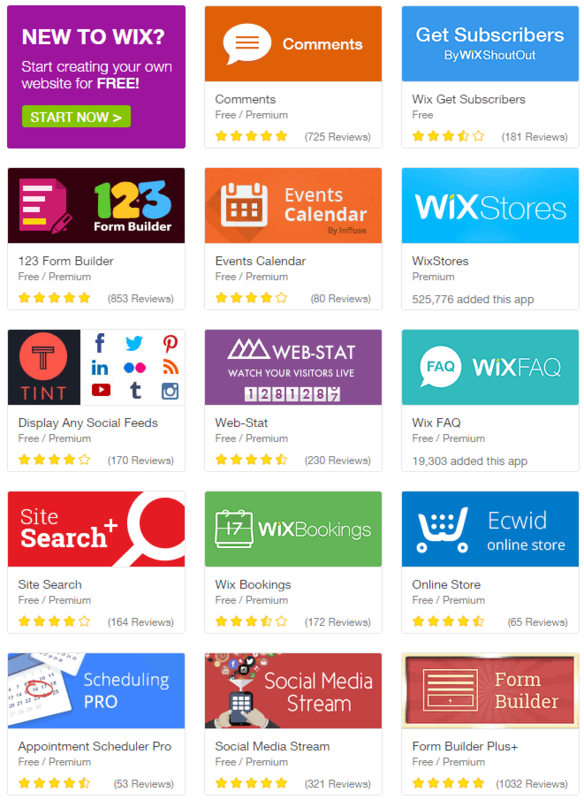 The app market is another huge feature of Wix.com that makes them one of the best website hosts on the market. They give you the ability to add everything from live chat software for your business to online booking widgets for coaches, consultants, and other block scheduling based professions. It should be mentioned, however, that they are all third-party apps, meaning Wix.com cannot provide technical assistance if they are to break down. 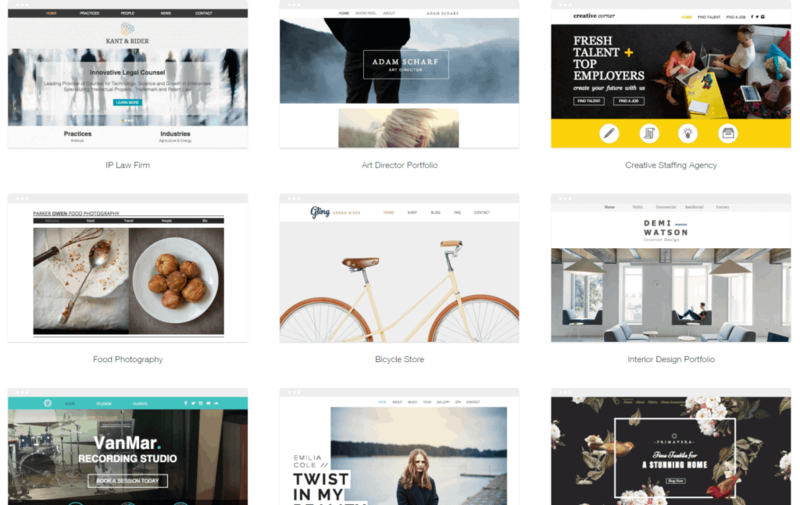 Along with the templates, another amazing feature that Wix.com offers is their drag-and-drop website builder. Simplicity is clearly the main concern of Wix and they make it easy for anyone, no matter your experience, to build a beautifully designed and professional looking website. The customizable options within the website builder are also as good as it gets. One of the cooler things about their website builder compared to competitors is that it allows you to seamlessly integrate animations with your website. While you obviously do not want to overdo this, the fact that it is an option makes Wix.com even more intriguing. If you are a website owner that plans to focus on content, SEO optimization is probably extremely important to you. Wix does a great job of making it easy for users to optimize their content for search engines while giving you the opportunity to add keywords and meta data that is important for proper SEO. 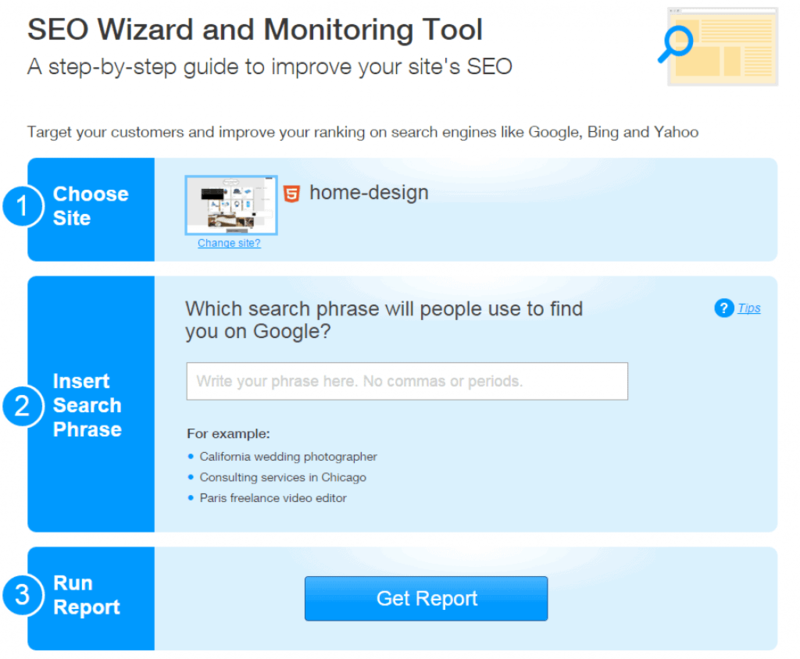 They also allow you to integrate with Google Analytics, making it easier for you to analyze and improve your SEO practices. Reliability is one area where Wix.com definitely excels. They have an uptime guarantee of 99.9%, which is pretty remarkable considering they host over 70 million websites. While they are not transparent about the security and reliability measures that they take, they claim that this is a good thing since it is such a sensitive issue. At the end of the day, the fact that they have millions of satisfied users speaks for itself. Wix.com does everything in their power to prevent the need for you to contact their customer support team by providing users with what is probably the biggest resource center in the industry. They provide you with access to thousands of guides, tutorials, and how-tos about using their services and the fact that there are so many users on Wix means that there are also several independent blogs dedicated to helping their users. For those seeking one-on-one support, however, there are options for users that subscribed to their premium plan. 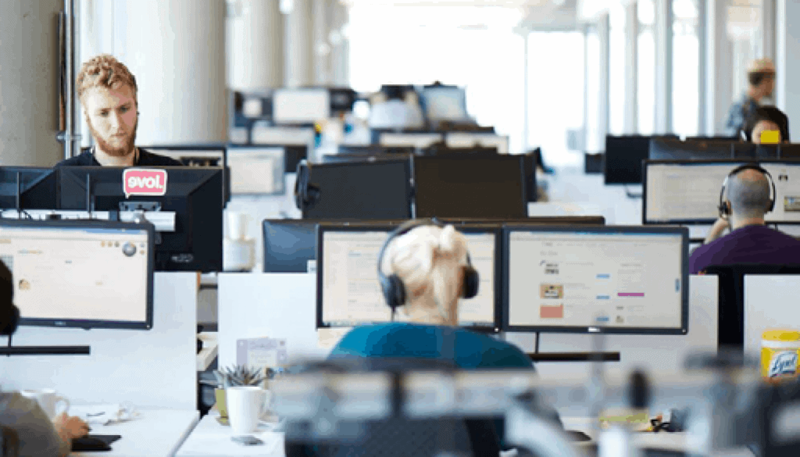 The most popular support option is their scheduled call option, where you set up a time to have one of their customer support agents get in touch with you to talk about whatever issues you are encountering. While they are one of the few website hosts that offer a ‘freemium’ plan, it will not suffice as a reliable option for most website owners. The prices for their premium plans are higher than most of their competitors, although it can be said that they make up for this with the reliability, ease-of-use, and customizable options that they provide. Another small disadvantage of choosing Wix.com is that you are not able to change your template once it is selected. Once you choose your initial template from their over 500 professionally designed options, you are stuck with it for the remainder of your plan. You can, however, change some of the design and layout options within the template. For experienced website owners, you may be disappointed by the fact that Wix.com does not allow you to change the HTML or CSS of your website. This is generally only going to be an issue for web designers that are experienced with coding and other technical aspects of their website. While it has already been mentioned that Wix.com offers a freemium plan that will allow users to set up an extremely basic website, this review is focused more on the premium plans that they offer. They offer five different plans, with each providing different perks, benefits, and features to users. The first premium option is the Connect Domain plan, which comes in at $4.08/month. This plan is extremely basic and Wix.com will display ads on your website. The Combo plan will set you back $9.25/month and provides you with 3GB of storage and 2GB of bandwidth. You also get a free domain for one year with this plan as well as not having to deal with ads on either your traditional or mobile website. The Unlimited plan is the most popular option offered by Wix.com and is priced at $12.42/month. Users that choose this plan will have the benefit of 10GB of storage and unlimited bandwidth. This is advertised as a great option for entrepreneurs and freelancers as they provide you with $300 in ad vouchers and premium listing features. You also have the added benefit of a site booster and form builder app. The eCommerce plan is a step above the Unlimited plan and comes in at $16.17/month. This plan is generally designated for entrepreneurs looking to build and grow a large online store. Users receive all of the features of the Unlimited plan along with 20GB of storage and 10GB of bandwidth. The Combo plan is priced at $8.25/month. This plan is designated for personal use with the benefit of up to 3GB of storage and 2GB bandwidth along with tall the features of all premium plans. The VIP plan is priced at $24.92/month and provides users with a VIP support line that allows you to receive immediate assistance from customer support. This plan comes with 200GB of storage and unlimited bandwidth as well as giving you the option to receive a professional website review. While all of the premium plans except for the Common Domain option are top notch, Wix.com only offers a 14-day money back guarantee for users. Overall, Wix.com is definitely one of the safer options for choosing a website host. While their customer support is a bit lacking due to the incredible amount of users that they have, their resource center is among the largest in the industry. The reliability of their servers is second to none and you really cannot get much better than the customization options that they offer as well. At the end of the day, you can probably find something better if you are looking for a basic plan with simple features. Those looking for the ability to grow their website with the help of professionally designed templates and hundreds of third-party apps, however, will be hard pressed to find a better option than Wix.com. Extremely basic and will display Wix brand ads on your website. Up to 500MB of storage and 1GB bandwidth. Designated for personal with the benefit of up to 3GB of storage and 2GB bandwidth. Free domain for 1 year. The plan is designated for entrepreneurs and freelancers with unlimited bandwidth and 10GB of storage. 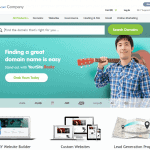 1 year free domain. Best for small businesses with 10GB bandwidth and 20GB of storage. 1 year free domain. Truly one of the most reliable web-host that you can find with over 73 million users in over 180 different countries.